Could there be love in the air on the basketball court with Kendall Jenner and Ben Simmons? Out of all of the Kardashian-Jenner long-term relationships, the one sister who seems to always be single is none other than supermodel Kendall Jenner. But, could the single Jenner now be in a new relationship? Khloé Kardashian recently took to Twitter and may have confirmed Kendall’s relationship to basketball player Ben Simmons of the Philadelphia 76ers. Rumors about Jenner and Simmons appeared back in June when the pair were spotted together. Although, the relationship was never confirmed by either side of the party. 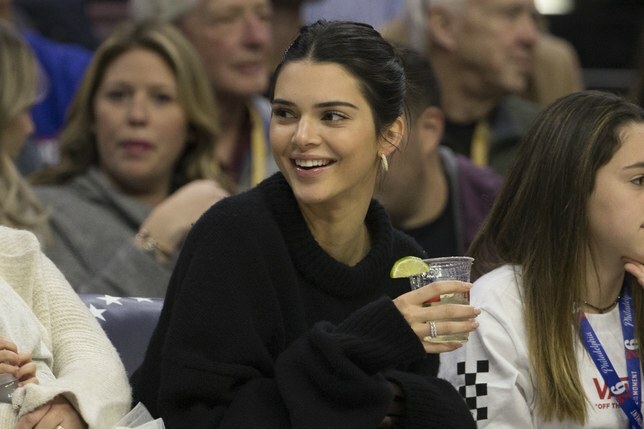 The day after Thanksgiving, Kendall was seen sitting courtside at the Philadelphia 76ers and Cleveland Cavaliers basketball game. Originally, the dramatic news from the game was of Kendal boo-ing Tristan Thompson. As the current season of Keeping up with the Kardashian’s is highlighting the tensions between Thompson and family after the cheating scandal, many speculated continuing strain. Khloé put an end to these rumors the following day by laughing at her “baby heckler” on Twitter by posting an Instagram video of Kendall courtside. In return, one of her followers tweeted her confusion of whether or not she should support Thompson, after watching the reality show following the family’s stress with Thompson. I’m confused by @khloekardashian’s tweets. One minute she’s calling TT out, then she’s defending being in his life, then she’s laughing at her sisters heckling him. I just wanna know where we stand Koko so I know how to feel! ? Khloé’s response not only defended Thompson, but casually confirmed Jenner and Simmons relationship when she casually emphasized “HER man,” which led to more relationship rumors. She also pointed out the seven month difference between filming for the show and the air dates. Some fans reacted to this news with excitement, while others were unconvinced. Kendall and Ben Simmons are In their early 20s! This "relationship" isn't going to last nor should it. It's, just, another Kendall Jennner dalliance. Do you think Kendall has finally found her man? Or is this just another fling? Let us know in the comments or on Twitter at @WhatsTrending.